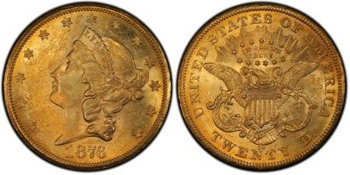 In the last few months, we have had an unprecedented response from my articles regarding rare coins. While many of you have had a chance to read and respond, I wanted to reiterate our key message again this month. Rare Tangible Assets, specifically rare coins, give you one of the best combinations of stability and profit potential in the marketplace. Many times, when you pick an asset, you have to choose between profit potential or stability. For example, you can allocate your funds in a CD through your bank. You can achieve a great deal of stability with this type of asset, a guaranteed return on your investment. However, to acquire this high level of stability, you give up a great deal in profit potential. Typically, CD rates vary somewhere between 0.5% and 2% profit, depending on the size and term length. Conversely, let's say you choose a penny stock (any stock with a price under $5 per share). While you can achieve tremendous percentage gains in a penny stock, these tend to be one of the most volatile assets you can own. These stocks can swing 50% up and down in a day. Stability is sacrificed for profit potential in this case. But what if you don't have to choose? Rare coins offer some of the greatest level of stability of almost any asset class, AND, offer tremendous profit potential. 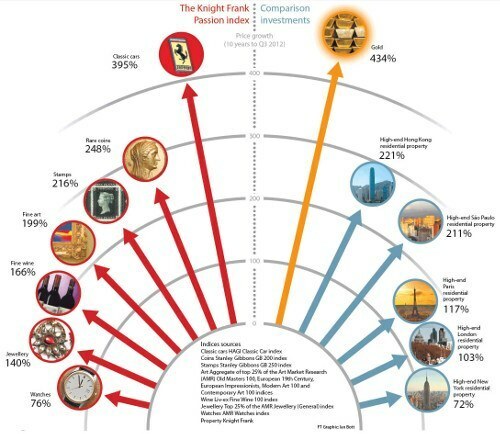 You can see from this Knight Frank Luxury Index chart, that our Rare Coin Program gives you expert-level insight into a market that offers a rare combination of stability and profit potential. With one phone call, ASI will assess the value of your current holdings. Should you decide to participate in our Rare Coin Program, we will purchase all or part of your collection and convert the proceeds into truly rare coins that are UNcorrelated to any other market. You may be thinking, "I had the right idea, but made a mistake with coins. Dare I try again?" Rare coins of the type ASI's program offers, have gained an astounding 225% in the last 10 years, and 11% annually for the last 40 years, beating the securities market. The Knight Frank Luxury index shows rare coins as a top growth investment, second only to collectible cars. Call 877-340-0790 to learn how we can turn around, what seems to you, like a losing situation. Here's an example of what happened just one week ago, when a client DID make that call to us. 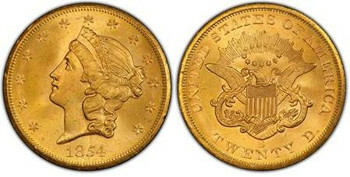 Mr. Doe held $100,000 of so-called 'rare' coins - sounds good, except he paid $200,000 for them. He was angry, frustrated and filled with regret. Do you know someone like that? Why had his coins lost 50% of their value in the five years since his purchase? The answer is simply. They were mostly modern first strike. First Strikes are superior quality, U.S. Mint coins with impressive numerical grades. But, that does not mean the run of the coins were limited in number or rare. Nor are they avidly collected. These are not the rare coins sophisticated collectors look for. Collectors are passionate, only looking for what is hard to find, and will pay a very high price for that. That is why Knight Frank is called a LUXURY index. What was worse, this client had used part of his retirement funds to buy the first strikes. He was so upset he took his coins, put them in a safe deposit box and tried to forget about the mistake they represented. First, I spoke with our client and learned he had 11 years before he planned to retire. Then, I learned he had some gains expected in 2014, and could get a tax deduction if he took a loss. I'm no accountant, so I sent him to his for clarification on any tax implications. Past performance in any one coin means nothing concrete to future performance, but he needed to understand the possibilities so he could be emotionally equipped for his coin portfolio makeover. I showed him that if coins followed their past 40-year average growth rate of 11% annually, his $100,000 would be $315,175 gross 11 years from now, at his targeted retirement age. It was time for him to turn a paper loss into a real gain. It was time to drop the coins that would never reach their original purchase price. So, I brought in our expert. Douglas Winter is our associate for rare coins and is the acknowledged world's leading expert in pre-1933 U.S. rare gold coins. Doug understands our client's goals and selected a new portfolio for him. Our client bought the best, from the best, at the right price. Now, our client has accomplished what he originally set out to do. He added an UNcorrelated asset to his portfolio, protected buying power after retirement and created a private legacy for his loved ones. And, he received an unexpected tax deduction to boot. It's as simple as one phone call to 877-340-0790. Your Preferred Client Relations representative is not a commissioned salesperson; we are compensated by salary, alone. ASI is always on your side because your success is our #1 priority. Yes, we can help you make your regret just a distant memory. But first, I have one last point to make. Before you call, consider this. The current stock market is all over the place. Many of our clients gained thousands in 2013, only to see losses in January 2014. Who knows what will happen next week? 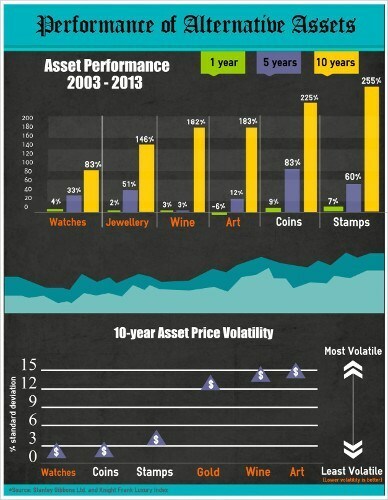 By contrast, rare coins are among the LEAST volatile of all assets, including precious metals. In fact, one reason Michael Checkan, our Chairman and Co-Founder, worked for a couple of years to put a rare coin program in place, was to add ballast to your portfolio in rocky and uncertain times. We all tend to hold onto losing portfolios. People are hopeful creatures. Gold would have to be at $3,500 an ounce and silver at $70 an ounce for our client to recoup his loss. Remember, when you are holding a losing investment, not only are you holding something that doesn't have the growth potential you need, but you are also losing the opportunity cost of investing in coins that can make your money back - and then some. ASI's plan, however, offered him a reasonable chance to turn his loss into a gain. His investment would take time to grow for sure, but, that time would pass anyway with nothing but regret to show for it if he took no action. That is why you can start your Rare Coin Portfolio at any level and take time to build it further. There will never be any pressure to liquidate everything, sell everything, or over buy. Take a look at this short, 7 minute video from our President, Rich Checkan, and me. Then call us at 877-340-0790 or send me an email and make your regrets just a distant memory. P.S. I received tremendous responses from my article 3 Rare Coin Myths That Lose You Money, where I explained why your rare coins didn't make the profits you expected. In this article, I went further to soothe the pain of those who own unwanted coins and don't know where to turn. You CAN take a lemon and make lemonade. But it takes a little nerve and some help from ASI.